This Sunday we will also have the very special treat of celebrating Ava Hunt’s baptism and her parents, Gage and Charity, joining the church! Special thanks for Christy Irwin for her vision and design for the altar and chancel decorations for this series! United Methodist Men will meet for coffee and scones Saturday, March 30 at 8 am, College Hill Coffee. Please join us. We need your input on what to do with the fall fish fry: continue it, put it to rest, or replace it with some other dinner. 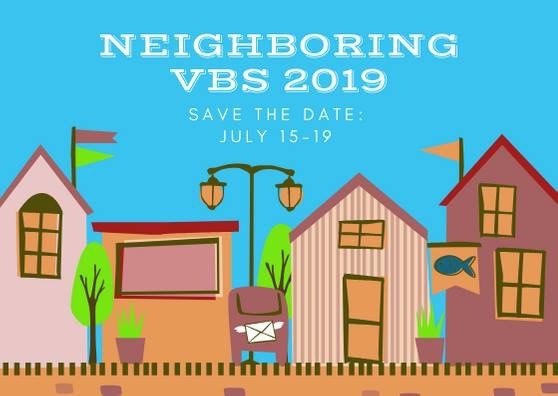 Missions & Social Justice Team invites you to participate in our launch of a new way to share God’s love in our neighborhood. When there is a 5th Sunday in a month, we invite you to bring five items on this list (or however many works for you – we are really just trying to help everyone remember it’s the 5th Sunday!) to share with our neighbors in need. Our first “Give Me 5” will be March 31! Easter Tulip Orders! – Due This Week! 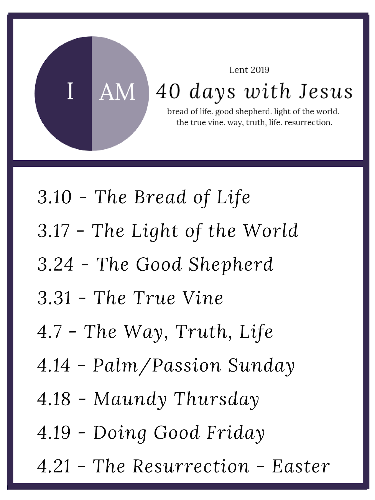 It’s time to order tulips for Easter service. Tulips are $10 each and and can be given in honor or memory of anyone you’d like. Email the office with the number of tulips you’d like to purchase, your names, and the names of the people you’d like to honor. 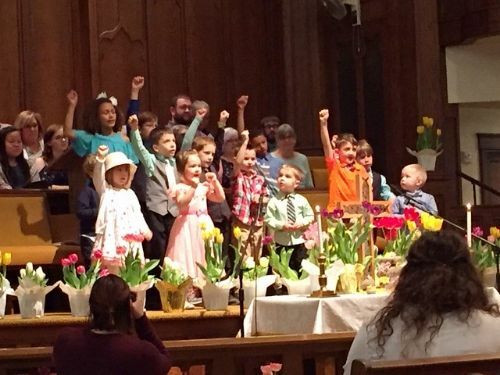 You can put the money in the offering plate – please make out to Grace UMC and include tulips in the memo or on the offering plate along with your name. Bishop Ruben Saenz Jr. invites United Methodists in Kansas and Nebraska to a series of regional gatherings to discuss together the connectional nature of The United Methodist Church and how the people of the Great Plains Conference can serve Christ together following the recent special session of General Conference. These gatherings will provide a time for the singing of hymns, reflecting on scripture, and communion. Following a brief presentation by the bishop on what transpired at General Conference, attendees will take part in small-group community building conversations that focus on our possibilities for the future of our mission in the Great Plains Conference. These gatherings are related to the special session of General Conference, but they will not be a time to make speeches or to seek to sway others to any particular position regarding human sexuality. The meeting is at First UMC in Wichita, KS (330 N. Broadway) from 2 – 4pm. I know many of you have been toiling with where we find the United Methodist denomination after the events in Saint Louis a few weeks back. It’s increasingly apparent that while votes have been tallied, the debate is far from over. The only thing I can state with certainty is that there are a great number of people hurting both within the UMC and outside. It is in the understanding of these duties that I realize we must begin the process of discerning where Grace is so we may prayerfully provide direction, if needed, in the months ahead. Council will be meeting next week to discuss the most effective way to do this work. It is my intention that we develop a process by which you, People of Grace, can be heard. For 40 years this subject has caused hurt and harm inside and outside the UMC. I don’t expect that this changes overnight. What I do know is that Grace UMC has a history. A history of welcoming. A history of service. A history of radical Wesleyan-inspired-Jesus-powered love. That won’t change; not in 10,000 years. With your input we will prayerfully discern our way forward and make sure Grace United Methodist Church speaks with the Prophetic voice she always has. We will be having a Congregational Breakfast on Easter Sunday, 4/21. Beginning at 9:15 (there is no Sunday School that day), it is a potluck downstairs in Fellowship Hall. Come and go as you are able, and you are invited to bring something yummy to share! Any questions, see Shirley Booe or Kathy Baker. SPRC is ready to hire our next administrative assistant. Will you help spread the word? Candidates may apply here. Successful candidates will need to be patient, reliable, have an attention to detail, and possess good listening skills. The position also requires a high level of efficiency, flexibility, and discretion. This person must hold a high school diploma. Some college work preferred. Strong written communication skills and computer skills are necessary. Familiarity with the following programs is helpful: Microsoft Office (especially Word & Excel), Outlook email, MailChimp, Breeze Church Database, WordPress website, and Facebook. This person also will be self-motivated, able to work independently without supervision, good at multi-tasking, and able to prioritize projects. Our church has a mission of Welcoming ALL to grow in grace together and to share God’s love on campus, in our community, and in our world, and we would love to welcome a person to our team to help us fulfill this mission. The hours will be M-F 8:30am – 12:30pm. 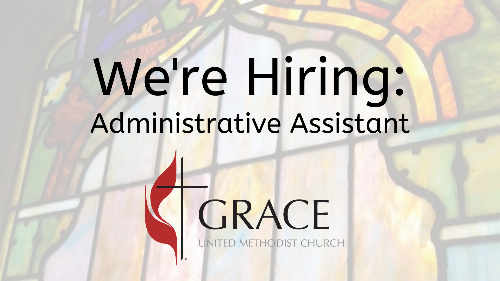 If you would like to receive a full job description to review before you apply, please email gumc@gracewinfield.com.